ACV Auctions is a disruptive technology that streamlines the process of remarketing wholesale vehicles between car dealers. 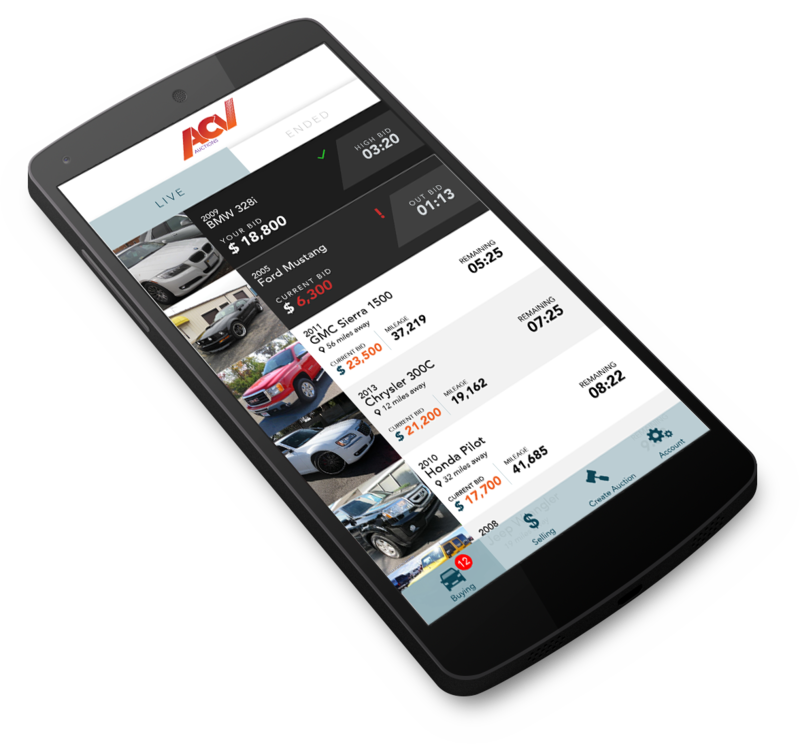 Our app empowers dealers by allowing them to buy and sell trade-ins and aged inventory in real-time, 20 minute auctions. For the seller, ACV Auctions dramatically increases liquidity and efficiency, and reduces expenses, logistics, and risk. For the buyer, ACV provides access to more inventory and allows them to buy as soon as vehicles hit the market.